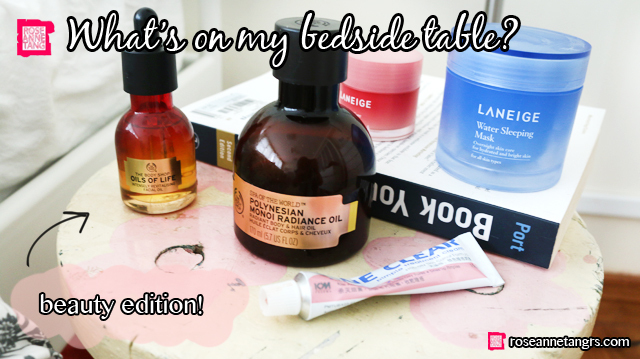 Today I want to share with you the beauty products that I keep on my bedside table! I figured this would make a great post because I never really talk about what I use every single night before I go to bed. I keep these babies on my bedside table because I don’t want to forget to put them on and to me, they’re really lifesavers due to my now dry skin. So let’s get started! This an absolute must-have for unwinding before you sleep. I love this so much and it smells so good. The Body Shop Spa of the World range is a recently released body care range that incorporates beauty rituals from diverse parts of the world. Whether it’s taking Kukui oil from Hawaii or clay from the Himalaya, using this body range feels really like having the entire world’s beauty rituals right in your bathroom. It’s amazing! 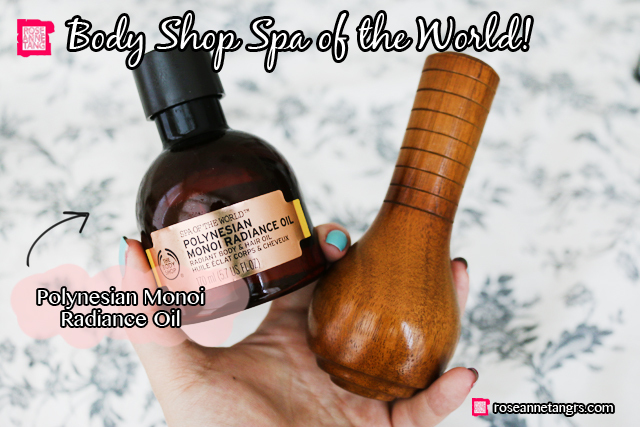 The Polynesian Monoi Radiance oil helps me with my very dry skin. I used to go to bed without putting anything on but because I’m on medication for acne, I have to now apply this regularly. I love this. It’s a sacred blend of coconut oil and tiare flowers that Polynesian women have been using for thousands of years. It makes my skin very smooth when I wake up and I have less bouts of accutane induced eczema when I use this. My skin is extremely different when I don’t! You can apply it with your hands or sometimes when I have the time, I will use The Body Shop Thai Wooden Massager. It’s supposed to mimic those Thai spice bundles that Thai massages have. 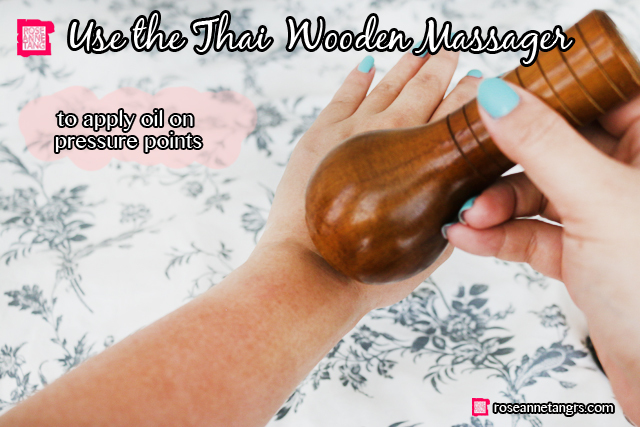 Take some oil and use the massager to pin point pressure points or use it in a back and forth motion. 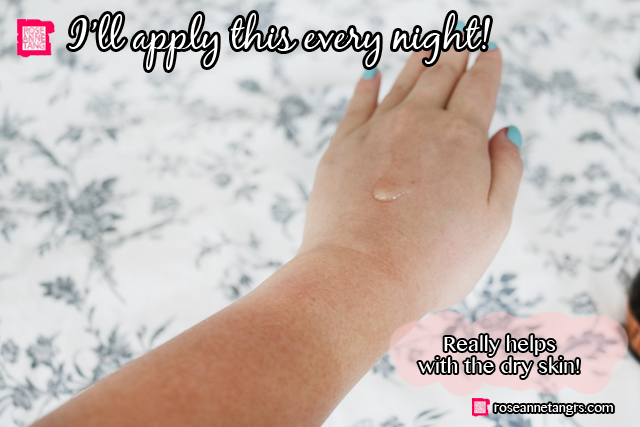 The oil absorbs really easily into the skin and feels light! 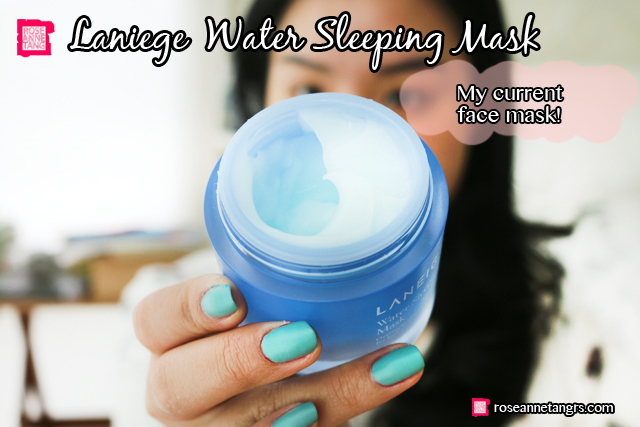 My current favourite mask is the Laniege Water Sleeping Mask. I think everyone has used this already one point in their life and it is an overnight mask that you don’t have to wash off before you sleep. You should use it around once or twice a week and it really makes your face soft and supple when you wake up! I like how it feels like a really nice light and cooling gel. 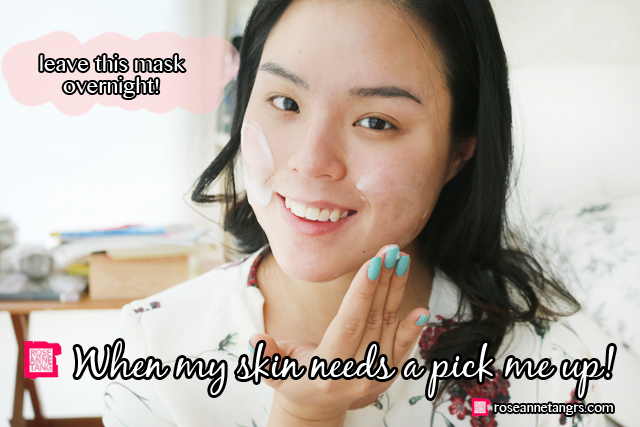 I usually apply quite a generous amount and I love the glow my skin has when I wake up. 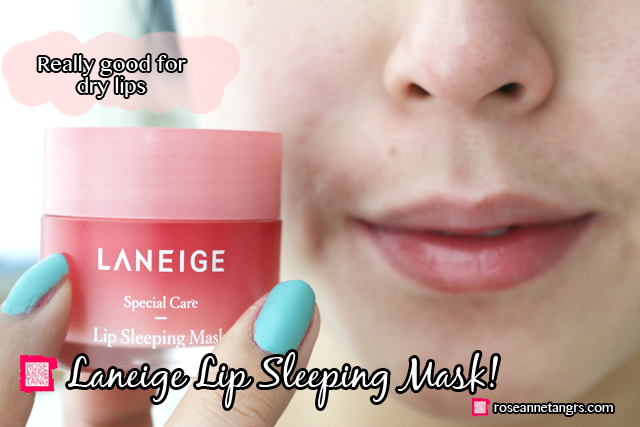 Another product I really love from Laniege is the Lip Sleeping Mask. I think a lot of people still don’t know that this mask for your lips even exists but they really should because it’s amazing. Accutane makes your lips extremely dry – that’s why you’ve seen my videos with me and my dry flaky lips. Usually that happens when I become lazy and I don’t put this baby on before I sleep. This has helped me so much. 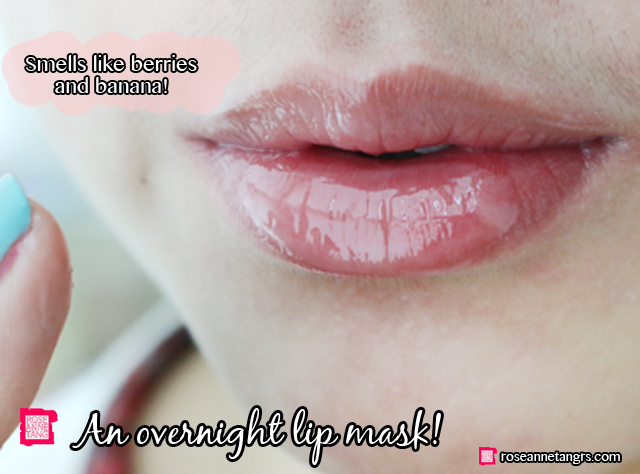 It has a thick and creamy texture that smells like berries and banana! It smells so good and yummy and if I’m about to sleep, I apply quite a generous layer but if you’re heading out, you can apply half that amount and it makes for a really good lip balm too. 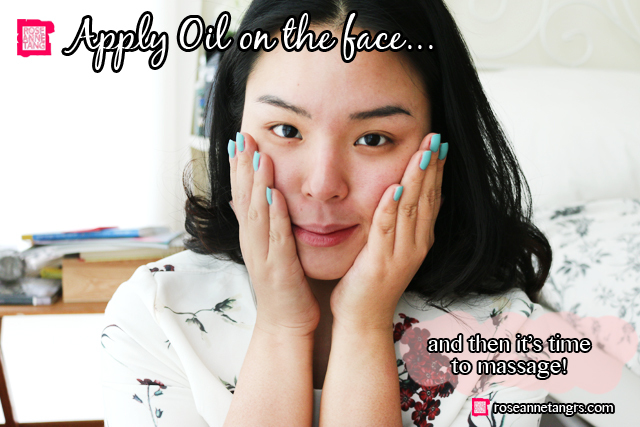 I’m a big fan of oils because it’s actually the most natural way of hydrating your skin. 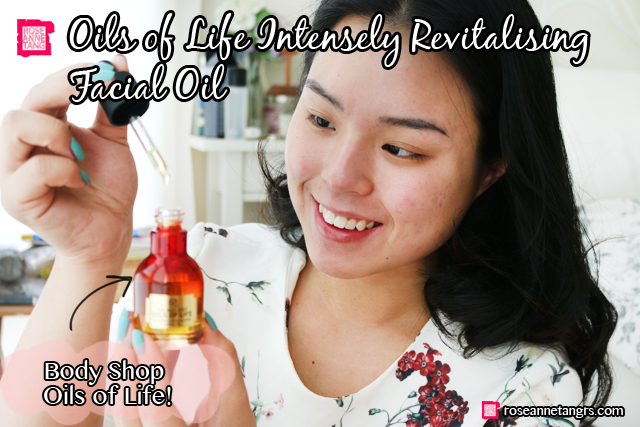 The Body Shop Oils of Life which I have done a video on is an oil blend of black cumin oil, camellia oil and rosehip oil. Like Spa of the World, they are sourced from all over the world – the black cumin oil is from the Egyptian Nile Valley, Camellia Oil from the Evergreen Trees of China and Rosehip from the foothills of the Andes in Chile! To apply this facial oil, you can use your hands but if you really want to relax, I have been a huge fan of The Body Shop Twin Ball Facial massager that you can do on your face with the oil. This really helps the oil absorb better in the face and I have noticed my skin looks and feels calmer and more hydrated. The benefits of the massager also includes improving blood circulation and skin tone but also reducing puffiness and wrinkles. 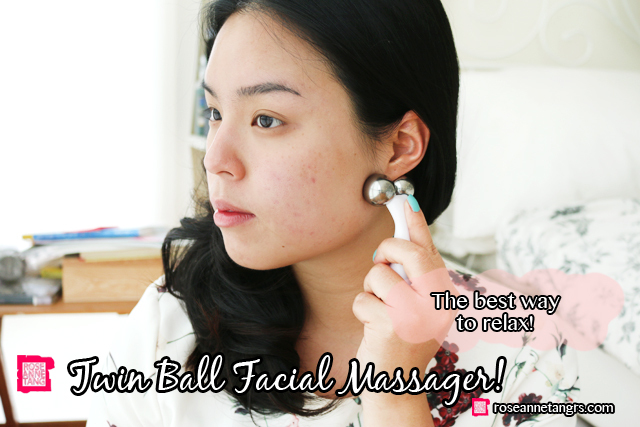 There’s a series of massages that you can do with the twin ball massager and the video link I will put here. But basically my favourite massage is placing the twin ball massager just right under my ear and going along my neck. I feel somehow this drains my toxins. I also like the technique of running it around my eyebrows at my forehead area. 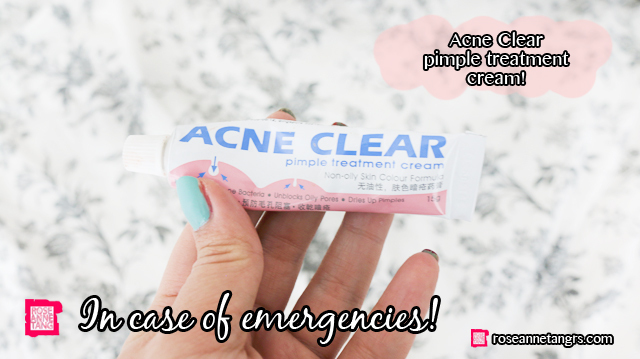 In case of any emergencies, I also use the Acne Clear pimple treatment cream that helps to make any zits much smaller as well. For my full review, check out my last post! So that’s what I keep at my bedside table! Hope you enjoyed this post.